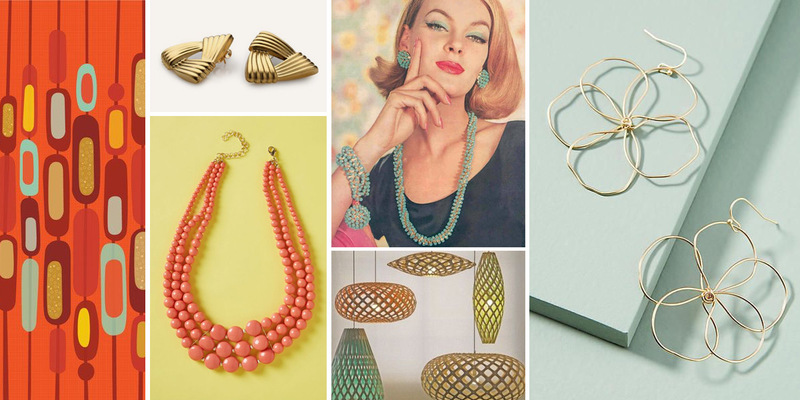 Vintage inspired designs are always popular—but ‘vintage’ is a broad term that spans more than one hundred years and many different styles. 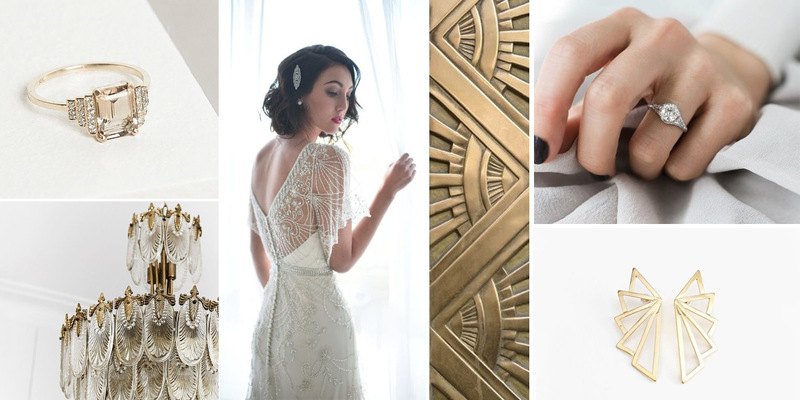 This guide will help you decipher the design motifs that you love so you can create a vintage style ring all your own. 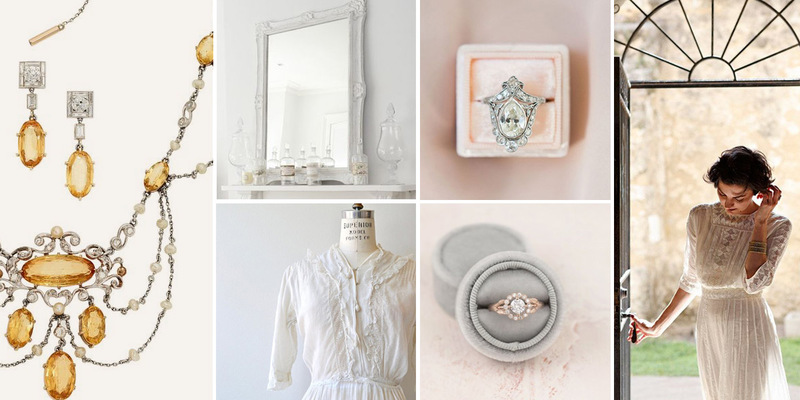 The Victorian style is one of the most popular for vintage-inspired engagement rings. This style is named for the period when Queen Victoria reigned, from 1837 to 1901. It was a time of ornate fashion that implies a romance that we love for modern interpretations. Common design elements included hearts, knots, hearts, arrows, anchors and natural elements such as flowers, vines and leaves. Then, as now, popular culture was influenced by the monarch’s style; because Queen Victoria’s engagement ring had a snake with an emerald stone design to symbolize eternal love, serpents became popular in jewelry design. Besides emeralds, rubies, sapphires and diamonds were popular materials for jewelry. Clusters, halos, claw prongs and ornate metalwork all characterize Victorian vintage style jewelry and lend themselves beautifully to modern design interpretations. This vintage style overlaps somewhat with Victorian style; it is named for the period of time when King Edward VII was the foremost fashion influence, from the late-1800s to the beginning of World War I. The style was influenced by lavish displays of wealth, so pieces tend to be elegant and opulent. Some common design motifs include laurel wreaths, scrollwork, feathers, ribbons tied in bows, lace, filigree and flowers. Marquise and Oval cut stones were extremely popular, because they echo the flowing lines and arches that were so prevalent in design at the time. Platinum was by far the most popular metal type, so to create an Edwardian-style piece, stick to silvery metal finishes. After World War I, the world emerged into a new style era that focused on strong geometric shapes, symmetry and contrasting patterns. Art Deco style is most strongly associated with the 1920s and 1930s era of flappers, Prohibition, industrialization and decadence. Harsher lines and symmetrical patterns with bold silhouettes replaced the more ornate looks of the past. Art Deco vintage jewelry typically used white gold or platinum, which provided contrast when set with black onyx, rubies, emeralds, and sapphires, along with diamonds. While floral motifs still show up in this vintage style, they tend to have sharper lines than the free flowing elegance of the previous era. At this time, the Ideal Cut formula was created by Marcel Tolkowsky, which introduced the modern Round Brilliant cut that remains popular today. 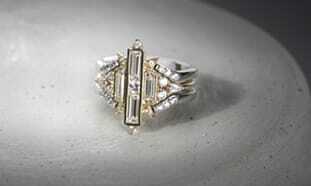 Emerald cuts, baguettes and triangle cuts were also very popular for Art Deco jewelry. In the 1940s and 1950s, solitaires and accented designs became more popular than cluster styles of the past. Yellow and rose gold became more popular as World War II made platinum scarce. This is the era when diamonds became firmly associated with engagement rings, as the “A Diamond is Forever” ad campaign. Larger diamonds and sleeker designs appeared, and became what we now think of as classics. 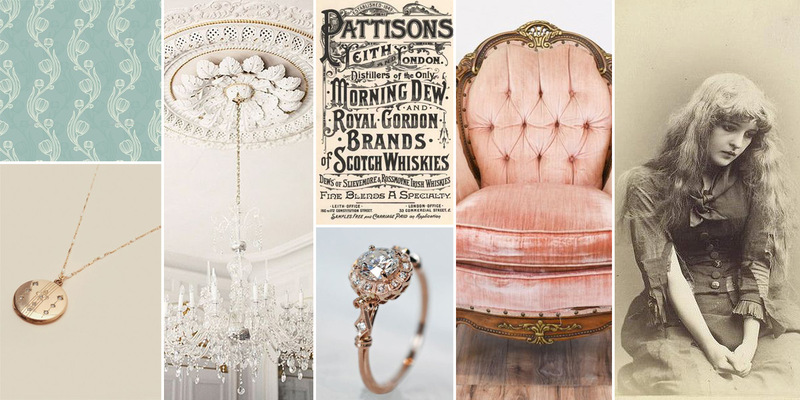 What are your favorite vintage-inspired design elements? I appreciate rich yellow gold with ornate settings. Favourite stone shapes: The originals, i.e., pear, marquis and ovals!